E&M provided engineering services for the installation of a new Dissolved Air Floatation Unit (DAF) to meet Centralized Waste treatment, pretreatment standards. E&M oversaw the construction of the $90,000 transformation of the 1940s vintage wading pool to a modern Spray Park. 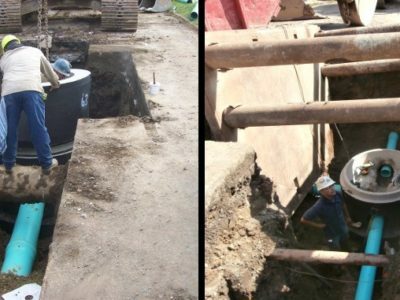 E&M partnered with Kessel Construction to prepared foundation, site design, and stormwater management plans for their Lakewood, NY location. As part of a multi-phase plan, E&M has provided design services for the City of Bradford and the Office of Economic and Community Development, planning streetscapes throughout the 2nd Ward. E&M Engineers and Surveyors P.C. has demonstrated expertise in a broad range of projects in the fields of civil engineering and surveying since 1946. We have worked closely with both public and private sector clients to provide quality surveying, consulting, and design to each industry. The intention of each staff member at E&M is to arrange a cost-effective and efficient solution to each clients concerns. E&M would like to welcome Austin Bower and Lauren Kubeja. They have been hired as summer interns to assist with the additional work load. Austin will be a Senior this fall at Alfred State College, and is pursuing a degree in Surveying & Geomatics Engineering Technology (BS). Lauren will be a Junior this fall at The University of Pittsburgh, and is pursuing a degree in Civil Engineering (BS). 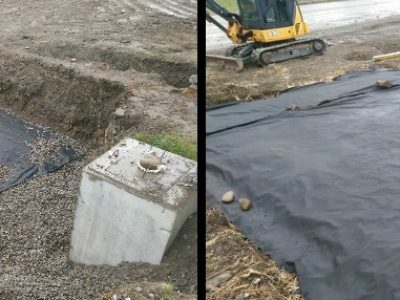 E&M undertook the design of a septic system renovation in Sheldon, NY. The proposed system used the existing septic tank and called for the construction of a new sand filter and absorption bed. The contractor on the project was Jazz Excavating. Construction finished in 2017. E&M agreed to handle the construction inspection for a sewer line replacement and manhole replacement in Eldred Borough PA. The construction took place along Elm St. and Bennett St. in 2016. 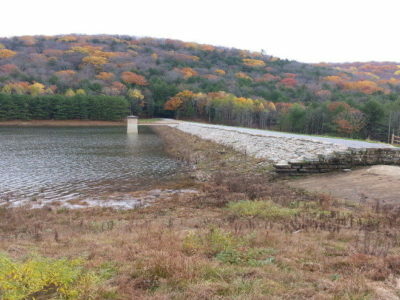 E&M has been contracted by the McKean County Conservation District to provide design and construction phase services for improvements to the Marilla & Gilbert Reservoir. The improvements will include a new canoe launch and a fishing pier both for community recreational use. Construction is planned to begin 2017.